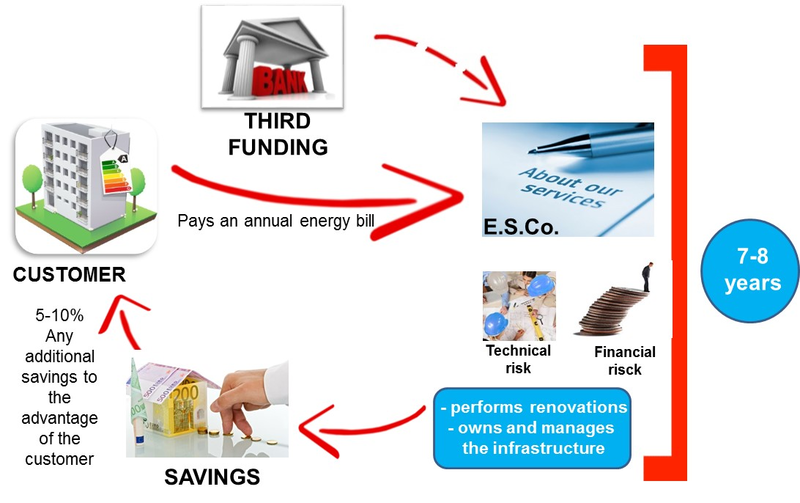 ─ The customer pays a fixed fee that guarantees a guaranteed minimum saving of energy costs historical. ─ Immediate return for the Public Administration in terms of savings on energy bills even if not higher. ─ Guaranteed savings and immediate on energy bill, and any residues savings in favor of the customer (public).